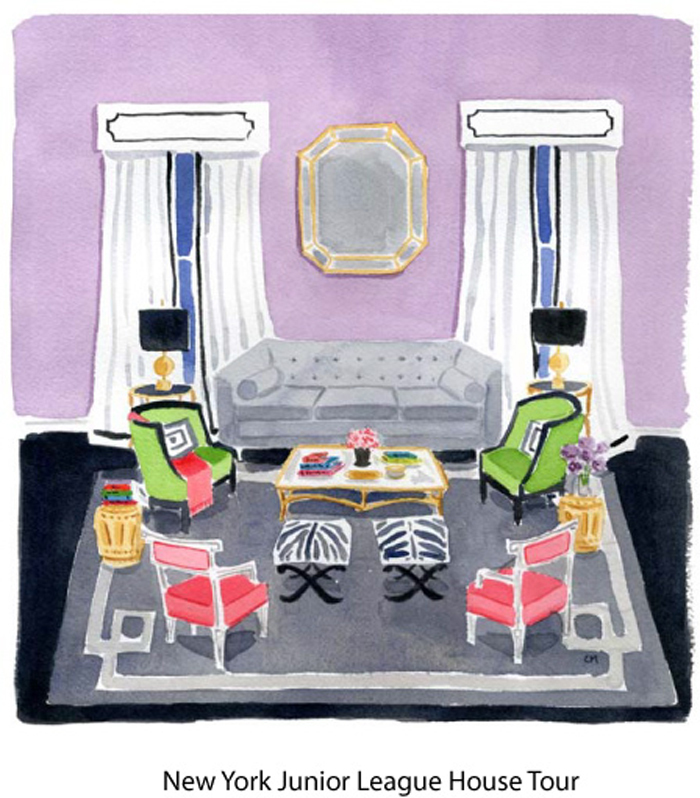 I have adored Caitlin McGauley’s work since I first saw it featured in Lonny Magazine. The watercolor maven started her career as a textile designer for Ralph Lauren before striking out on her own just this year. 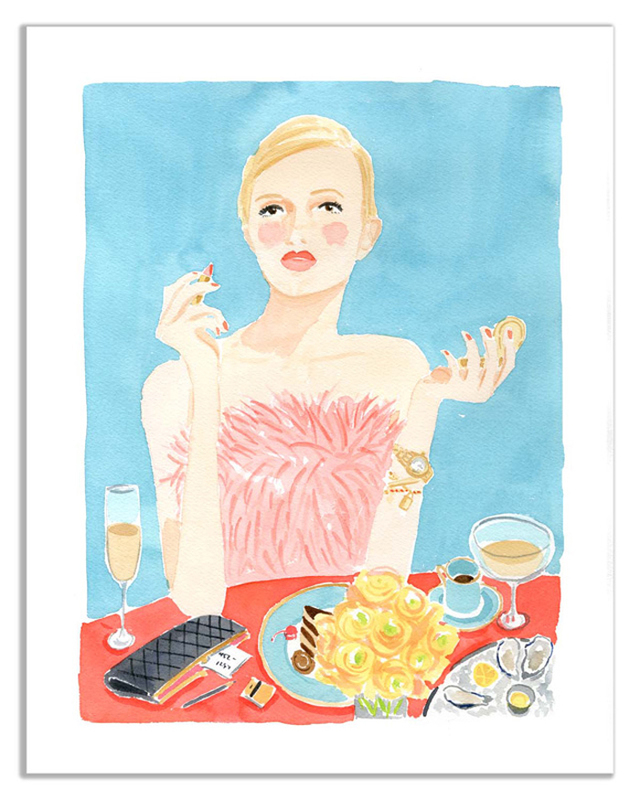 Her most recent work includes projects for Hermés, Kate Spade, and Tory Burch – to name just a few! 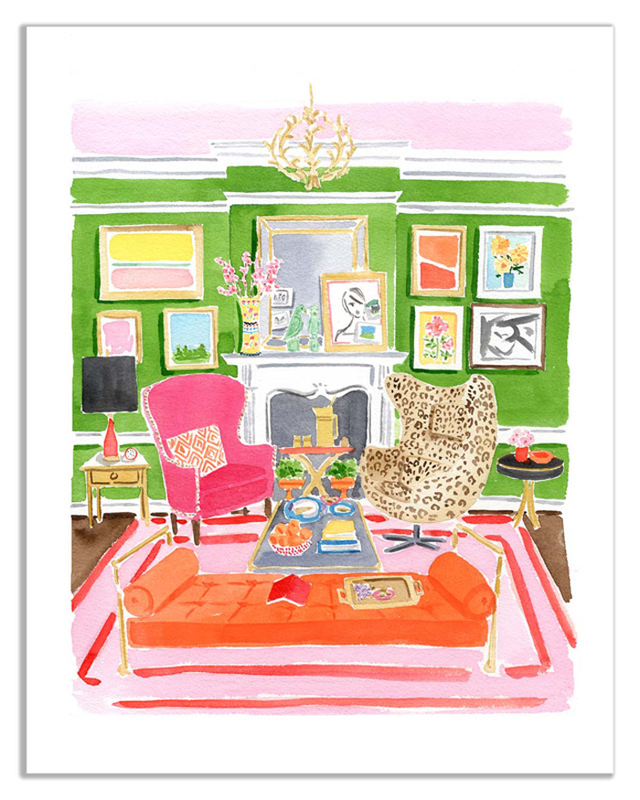 Wouldn’t one of these chic illustrations add the perfect dash of color and whimsy to that blank wall in your home? You can purchase one of her prints on her website for just $75. I’m thinking I might need one… Here are a few of my favorites! You can check out the rest of her work right here. The last one is my absolute favorite! Now if only I had a skirted trench coat like the girl in the painting! Love all of these! I adore her work- so so pretty!!! love these! so cute. watercolor is a hard medium, too, what a talent! What beautiful pieces of art! Thanks for sharing! I just found your blog and i absolutely LOVE IT! Check mine out! These are quite amazing, love her use of bright vivid color, these are so happy feeling. Actually looking for prints for my 13 year old daughters room, these would look incredible, Going to go check her out. Thanks. 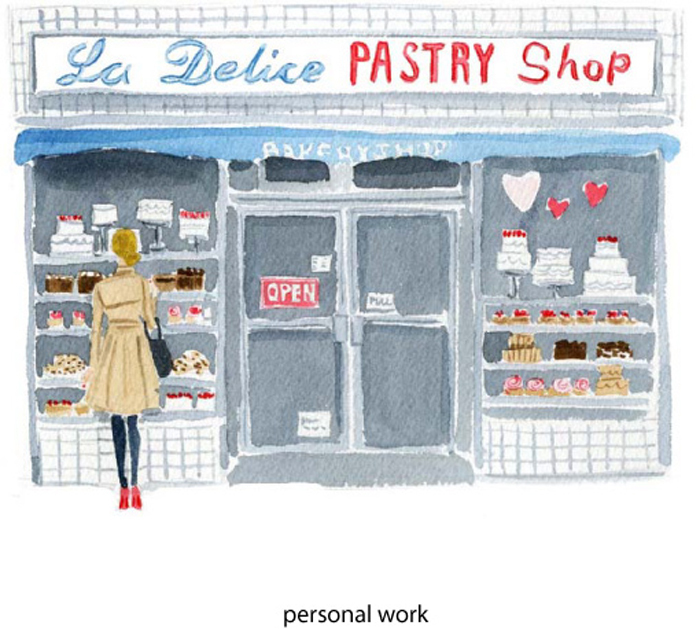 Wow, her work is perfect and girly! And the price point is not terrible either! I happen to know that bakery! It's on the corner of 27th Street & 3rd Avenue in NYC and has been there forever!